A commitment to excellence and detail. 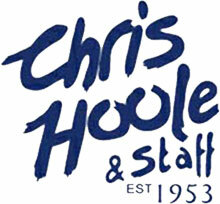 A Pleasure dealing with the entire Hoole team. 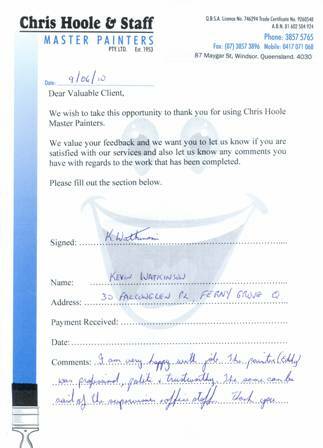 Very professional, friendly and committed to satisfying needs of owners and tenants. Very happy. Friendly painter and very good job. 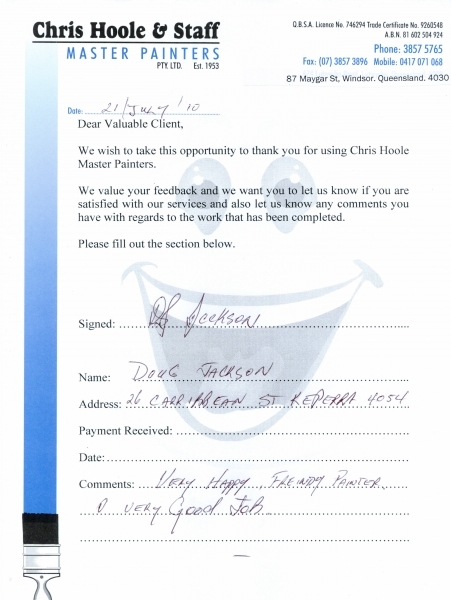 I have no hesitation in recommending Chris Hoole & Staff Pty Ltd for any painting work you may be considering. In particular, John Anglussi’s very thorough and expert job has certainly lifted the interior of my home beautifully. I am extremely happy with the result. 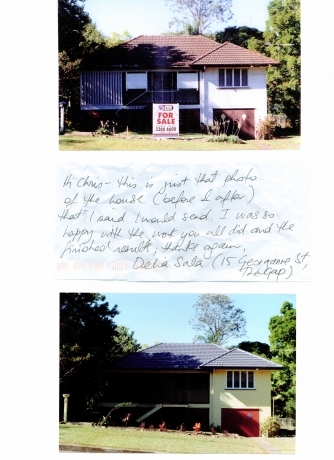 Please find enclosed a bank cheque to the value of $3,300.00 in payment for services to paint my house as quoted 20/9/06. 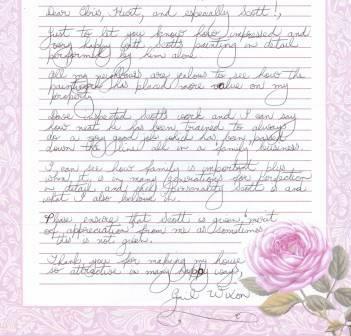 I am very satisfied with the final outcome and the manner in which the work was carried out. I’ll have no hesitation to nominate you to relatives and friends. D Worthington - Everton Park. This is just the photo of the house (before and after) that I said I would send. I was so happy with the work you all did and the finished result. Thanks again.